At Verlasso, we believe that it’s not what we do, it’s why we do it. We aim for nothing less than changing the world through sustainable aquaculture. We believe that we are part of a unique space that will help supply a growing population with the most sustainable protein for generations to come. At its core, this mission is philanthropic and has the highest level of intent. 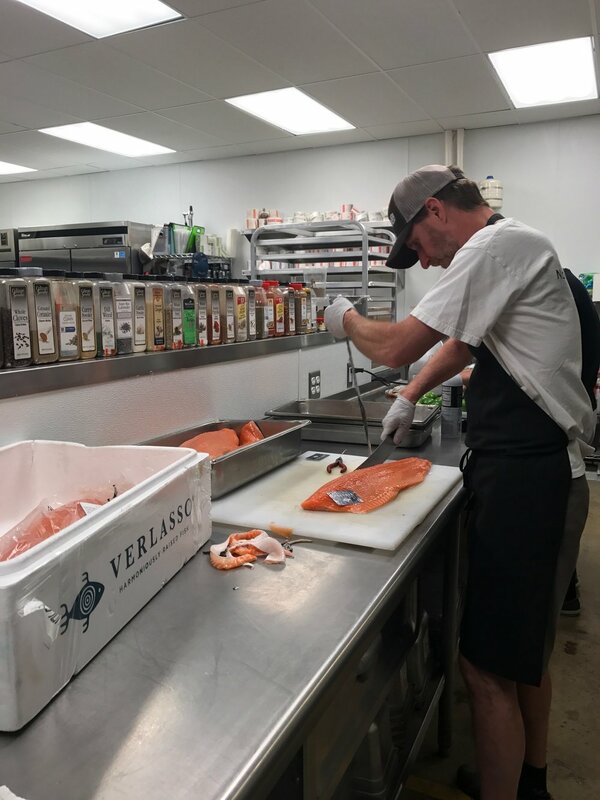 At the farm level, Verlasso supports communities that sacrifice each and every day through their efforts to bring us the most sustainable salmon. Verlasso is constantly working to connect with local, regional and national communities, providing in-kind donations, support, man hours and much more to create a positive impact. 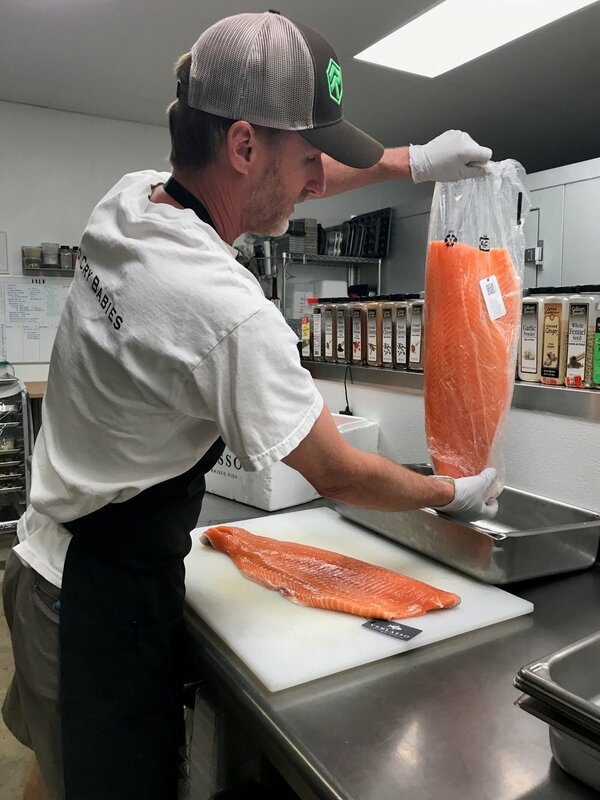 From the International Ocean Film Festival to the Chinese Hospital in San Francisco and Monterey Bay Aquarium Seafood Watch, Verlasso strives each and every day to create the most impact at every level! 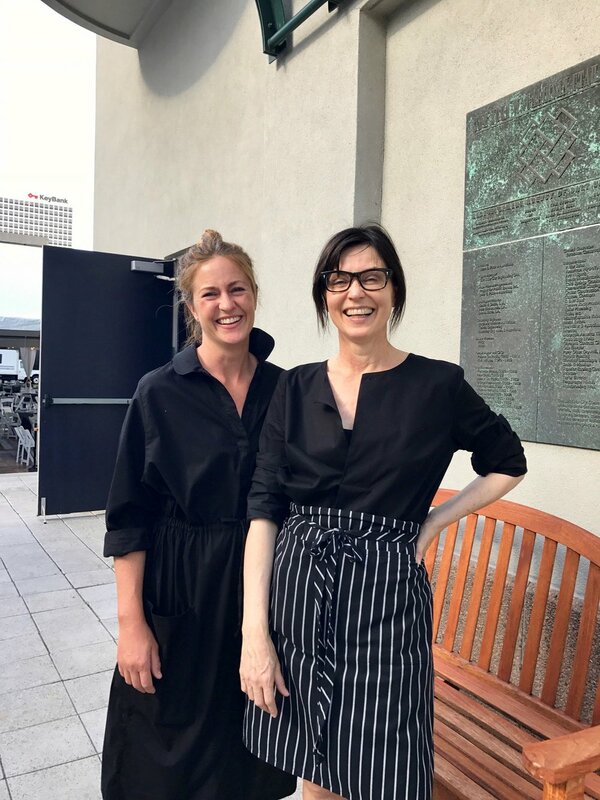 This year, we had the privilege of partnering with The Blended Table and their wonderful chef, Tom Grant, who were catering the annual Children’s Center Fundraiser Gala dinner in Salt Lake City, Utah. Guests were served ginger poached salmon drizzled with honey glaze. The Children's Center provides comprehensive mental healthcare to enhance the emotional well-being of infants, toddlers, preschoolers, and their families, regardless of their financial ability to pay. They touch the lives of so many and deserve our support! This year’s gala had over 450 in attendance and their silent auction brought in thousands of dollars.